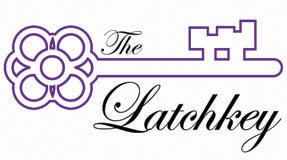 In this section of The Latchkey, we focus on teaching the New Woman and her issues in the classroom. Think of it as a treasure chest of ideas, texts, and resources to help in putting together class sessions or even whole teaching sequences on the New Woman. We hope to expand this archive with every new issue and warmly invite you to send us a brief report of teaching ideas and resources of your own. For example, we would love to see further references to New Woman texts and useful secondary sources, or handouts of your own design you would like to share with other teachers. You may email us these materials or/and comments or ideas to the Latchkey editors at unbolt@gmail.com. Please include a sentence or two addressing a) your specific teaching idea and/or goals for these materials in the classroom, and b) the student level for which these materials would be appropriate (such as high school, college/undergraduate, graduate students, etc.). For previous editions of our “Teaching Resources” section, please see our Back Issues. In each issue, we aim to introduce at least one particularly useful primary or secondary resource in depth. This time, it is Carolyn Christensen Nelson’s A New Woman Reader: Fiction, Articles, and Drama of the 1890s, Peterborough, Ont. : Broadview Press, 2001. Part II, Drama, reproduces Sidney Grundy’s satirical play “The New Woman: An Original Comedy in Four Acts,” a popular staple of anti-New Woman literature. A useful review of the book by Melissa Purdue can be found here. Level: Undergraduate or beginning graduate students, one to two class sessions. Objective: Introduction to the feminist history and background to the New Woman debate in Britain. - Handout for Mary Wollstonecraft’s A Vindication of the Rights of Woman (click here) - to download this PDF please right click on the link and choose "save target as". Illustrate for students Wollstonecraft’s and Mill/Taylors’s argument for a rational fellowship between men and women to advance the whole of society, by way of improving the institutions of marriage and family. Students often find it helpful to learn that "feminism" as we find it in Wollstonecraft in the late18th century and in John Stuart Mill/Harriet Taylor in the 19th century actually started as a larger social reform movement for the greater good of society, which was arguing for inclusivity rather than for separatism. The argument was that women must be given more rights and better status in society for the good of all humankind and society in general. Wollstonecraft, Mill/Taylor and others argued that society inevitably suffered if women’s potential remained untapped and one half of the population was subjugated to the other half. From Wollstonecraft to New Woman writers such as Sarah Grand (The Heavenly Twins), Olive Schreiner, or Charlotte Perkins Gilman (“The Yellow Wallpaper”), this line of feminist argument remained important and prominent. In the 20th century, we can still find it (in somewhat modified form) in writers such as Rebecca West, Djuna Barnes, or Virginia Woolf (most obviously in the feminist classic A Room of One’s Own, 1929). The increasing radicalism of some of the New Woman debates is put into a meaningful context by offering students this larger historical perspective, and students can gain a deeper understanding of "the Woman Question" in the late 19th and beginning 20th centuries because of it.